Hopefully you’ve got some big goals and aspirations. You can have ANYTHING YOU TRULY WANT – I believe that 100% but it’s going to take some creativity and elbow grease. We spoke before about things that get in the way of our goals: busyness, distractions, filling your time with so many GOOD things that there’s no time for the really GREAT things. Today I’m going to teach you to tackle the BIGGEST HURDLE – your thoughts. Say you’ve allowed yourself to dream. You’ve got a goal. You’re excited. You can visualize it happening. Then the thoughts: “You can’t do that”, “what are you thinking?”, “You’re too old”, “You’re not old enough”, “You’ll never be able to pull that off”, “You weren’t able to do it before, what makes you think you’ll be able to do it now?”, “Don’t try”. These my friends, are LIMITING BELIEFS. Limiting: there’s a cap, a limit, and once you’ve reached it – you’re stuck. You can no longer pass go, go back to jail (monopoly reference in case you’re lost). 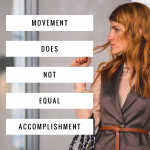 Point is…with these thoughts you CANNOT reach your goals. When you indulge in these thoughts you can no longer move forward. Think of Moana. She had this belief that her destiny was out beyond the reef…you remember, “It Caaaallls me”. She gets motivated, determined to try. She heads out to the sea and within minutes her vessel was ripped to shreds by the vicious tides and she’s forced to go back to the shore. You might get to this point – or maybe you already have once. Your brain is going to tell you, “See, I told you not to do it”, “what were you thinking?? ?”, “don’t try it again, you’ll get hurt” – your brain wants to protect you – it wants to stay safe. You’re thoughts are like that reef – your limiting beliefs. You’re going to need to rise above them – work your way through them so you can overcome them and press forward. Now a lot of people stop here. They give up because they’ve tried it, it didn’t work. It must not be what I’m supposed to do. Time to move on to something else. But what if it is what YOU are supposed to do? What if that dream you have is still calling to you? Can you imagine what it would be like if Edison gave up the first time? or even the first 100 times? 1000 times? 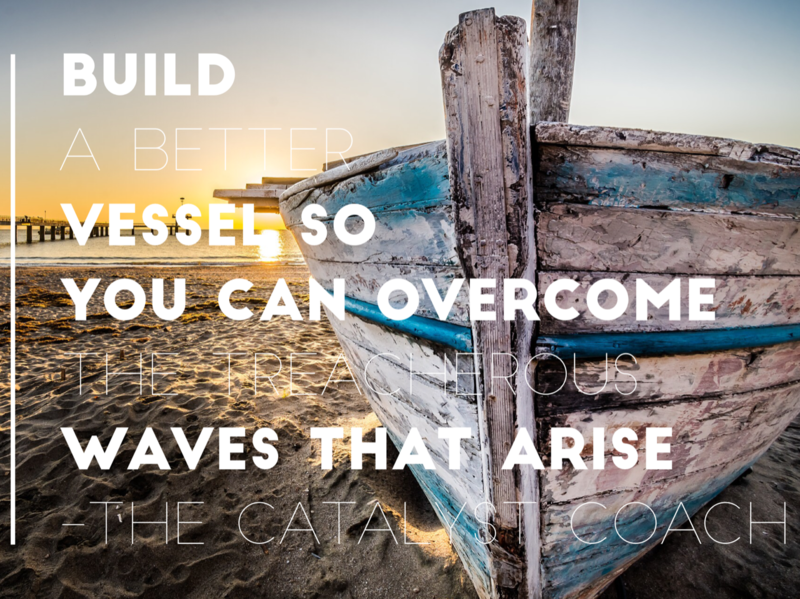 You just have to build a better vessel to help you get passed those treacherous waves – those strong limiting beliefs so you can move forward and try again. You need stronger thoughts, a stronger resolve, and a powerful reason to keep going. You need a counter thought/belief to every limiting belief. This isn’t going to be easy – you’ve had x amount of years of practicing these limiting thoughts – it’s engrained. However, science has proven that our brains CAN BE RE-WIRED – you can change who you are and what you believe. You’re too old: *At 77, John Glenn became the oldest person to go into space. *At 62, J.R.R. Tolkien published the ﬁrst volume of his fantasy series, “Lord of the Rings.” *At 100, Frank Schearer seems to be the oldest active water skier in the world. – Still think you’re too old? You’re not old enough: *At 9, Daisy Ashford wrote her bestselling novel, “The Young Visiters.” It sold over 200,000 copies. *At 6, Willie Hoppe, the greatest billiards player in history, began to play pool. He had to stand on a box to reach the table. What if people think I’m ridiculous? – What if people think you’re amazing? I don’t have time/I’m too busy: You have more than enough time. Everyone gets the same amount of hours in a day – you get to choose how to use them. Your work to do is to build a better vessel for you to overcome the challenges that are going to arise. Build stronger, more powerful thoughts. Think of all the great contributors to our world – what if they had given up? How different would our world be? The world is ready for your contribution -whatever that looks like for you. You can do this. You are capable. We are incredible, powerful human beings – especially with Heavenly Father to guide us. Pray for direction. Work hand in hand with the Savior to achieve what you are meant to achieve. Miracles still happen every day. Who would have ever thought it was possible to walk on water? Raise someone from the dead? Heal the blind, deaf, infirm? Nothing is impossible. Have faith. You got this, my friend. Go for it. 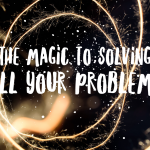 FREEBIE: In the freebie tab there is a link to download a “Conquer you Limiting Beliefs Worksheet” – Write down all the limiting beliefs/negative thoughts that come up for you. Then on the second box write a counter thought to the limiting one. This will be a great resource to you when you feel stuck. It’s a good reminder of just how powerful you are and how much control you have over your life. Enjoy!